Your time has come to DREAM,BELIEVE,SURVIVED! The search for GMA7 newest celebrities in the showbiz industry kicks off auditions for the 7th edition of their reality show StarStruck. StarStruck's Official Twitter account announced that auditions are now open. "Your time has come to DREAM,BELIEVE,SURVIVED! 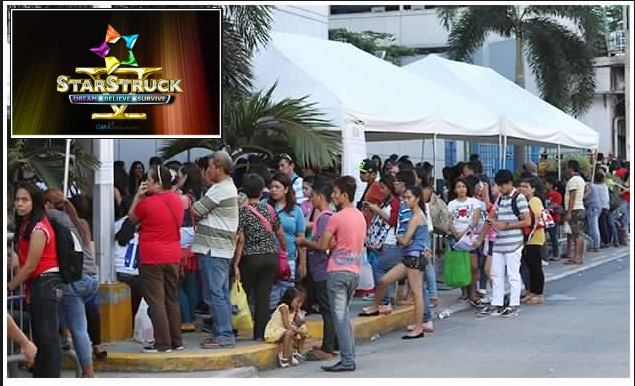 Dalhin lamang ang requirements sa mga sumusunod na audition dtes at venue. See you all there for #TheStarStruckExperience!" the tweet read. The reality show is open to male and female aspirants, 16 to 21 years old of Filipino descent. Need to bring the original copy and photocopy of your birth certificate, 1 close-up and full body picture. However, for those below 18, no need to worry, need to bring parents consent letter with signature from the guardian stating that you're allowed for audition process and don't forget to bring the parent's photocopied ID. are we going to print the picture in a bond paper ?